Until I wrote If You Were Me I had never written a book using dual narratives and it was an interesting challenge, made easier in a way because the two main characters were so very different. Dan Abbott is English, fourteen years old and the only child of a London plumber . He is good hearted but a tiny bit dodgy – he has been known to unlock stolen phones for an older friend. He doesn’t try very hard at school and he has no idea what he wants to do with his life. He has a happy, contented homelife, although things were difficult when he was little and his father did a short prison sentence for selling stolen goods. Aliya is also fourteen but from Afghanistan. Her doctor father was killed in a Taliban bomb explosion and the shock and grief have plunged her mother into a deep depression. She has a younger sister Mina, who is four and an older brother Behrouz who worked as an interpreter for the British troops. Aliya is clever and determined. She works hard at school and has her heart set on becoming an engineer so she can help to rebuild her war ravaged country. Since her father’s death she has looked after her mother and taken over more and more of the household chores, including the cooking and looking after Mina. When the Taliban put Behrouz on a death list Aiya’s family seek asylum in the UK. Soon after they arrive Behrouz is badly injured in a bomb explosion and accused of being a terrorist. Aliya sets out to prove his innocence and Dan, who she meets when he helps his dad with a plumbing job in her flat, decides to help her. Some dual narratives describe the same scenes from two different points of view. I decided not to do that, so the chronology is continuous with Dan and Aliya picking up the story where the other one leaves off. This allowed me to have moments where the readers know what one of them sees or thinks but are left to guess what is going on in the mind of the other. This was very important for the story which hinges on the themes of doubt, trust and loyalty. Aliya wonders again and again why an English boy who she hardly knows should be so convinced of her brother’s innocence and so willing to help her, and Dan is constantly on edge in case she finds out his terrible secret. The other big challenge was getting the right voice for each of the characters. Obviously when Aliya is thinking in Pashto ( her first language) her thoughts are fluent. But when she is speaking English to Dan I needed to create a voice for her which made it clear that this was not her first language. To find that voice I listened to the speeches of Malala Yousafzai, the Pashtun girl who was shot by the Taliban for campaigning for girls’ education. I also read her book I am Malala and when I did author visits in schools I talked to Pashto speakers and asked their advice. With Dan it was easier. I have a 17 year old son and house that has been full of London based teenagers for a long time so I am used to the way they speak and to some extent the way they think. 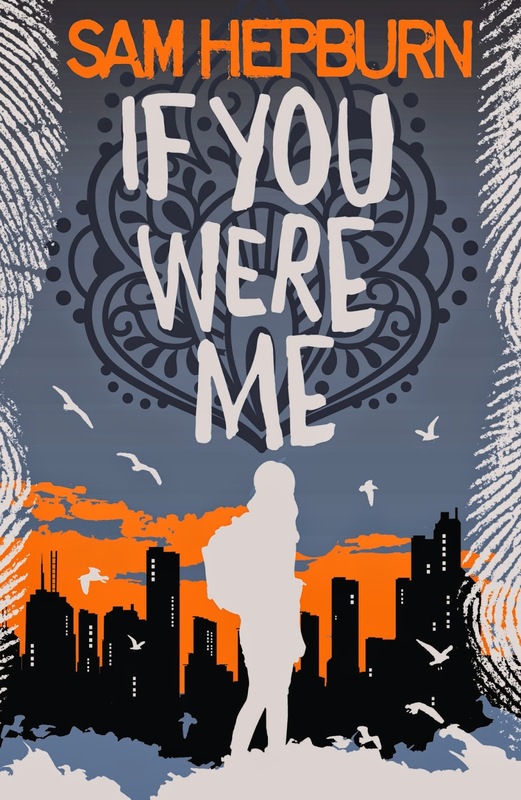 So if you read If You Were Me book I hope you find the voices of Dan and Aliya convincing and I also hope that you enjoy this story of two very different young people flung together by extraordinary events.